In our most recent blog article, we described the title character in Carmen as “murderous” and “lustful”. Who is the woman singing that part on stage for Opera Omaha this November? The kind, vivacious mezzo-soprano, Leann Sandel-Pantaleo. She is, although not murderous in real life, capable and convincing on stage. The singer’s biography and a link to her website is below. Enjoy! 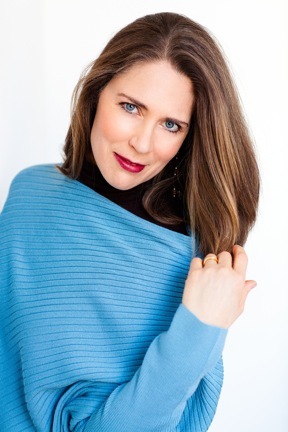 This season, Ms. Sandel-Pantaleo returns to Lyric Opera of Chicago to cover Jezibaba in Rusalka, and joins both Opera Omaha and Tulsa Opera as the title role in Carmen. During the 2012-2013 season, Ms. Sandel-Pantaleo joined the Lyric Opera of Chicago, to cover the Witch in Hänsel und Gretel, and returned to Teatro alla Scala and the Berlin Staatsoper as Siegrune in Die Walküre, and to North Carolina Opera, as Amneris in Aida. She also sang Siegrune at the BBC Proms in London. The mezzo-soprano’s 2011-2012 season began with the title role in Carmen with North Carolina Opera, and continued with Verdi’s Requiem at Carnegie Hall, and a return to the Staatsoper Unter den Linden for further performances of Siegrune. Ms. Sandel-Pantaleo began the 2010-2011 season covering the title role in Carmen at Lyric Opera of Chicago, and later debuted at Teatro alla Scala and the Staatsoper Unter den Linden as Siegrune in Die Walküre. In the summer of 2010, she bowed as Santuzza in Cavalleria Rusticana with Chautauqua Opera. In the 2009-10 season, she returned to the title role of Carmen with Utah Opera, and sang her first performances of Bluebeard’s Castle with Fondazione Orchestra Sinfonica di Milano Giuseppe Verdi under the baton of Oleg Caetani. On the concert stage, she has recently joined the Brooklyn Philharmonic for Stravinsky’s Pulcinella and has appeared as soloist at other symphony orchestras including those of Indianapolis, Alabama, Erie, Pacific, Nevada, La Jolla, Evansville, San Diego, Westchester, and Lafayette.